Stock up now before May 15th! That is when Amazon will suspend selling chocolate online so we ensure we preserve our fresh quality. Bouchard will be available again on Sept. 15th. Smooth, Delicious, Premium 72% Dark Chocolate straight from Belgium. Some pharmaceutical companies add "chocolate" to their probiotics. 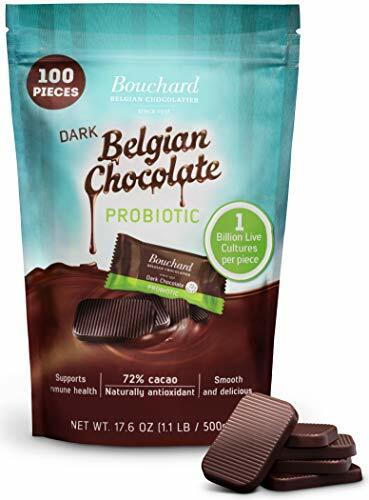 We infused probiotics into our already famous chocolate - so it's great chocolate that's also great for you. Final Price as low as $18.61 Shipped!